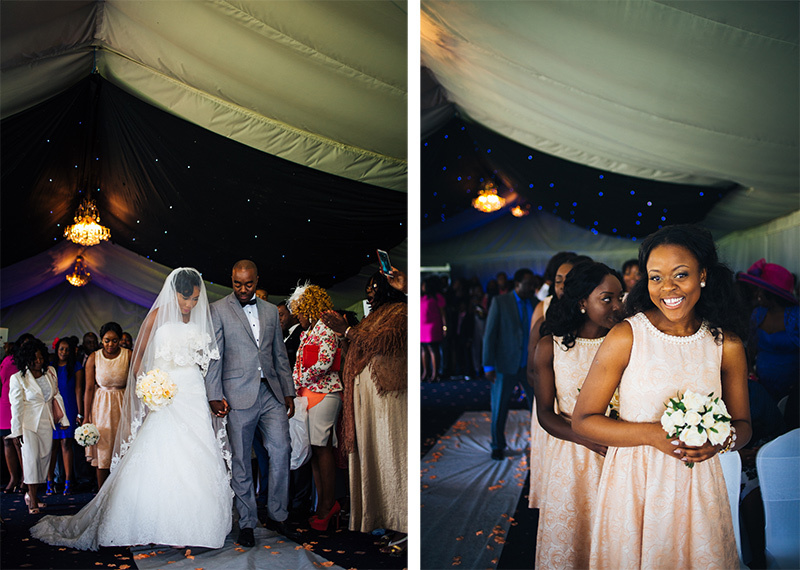 Chido’s words to Terry sum up the spirit of their African wedding, a day filled with joy and emotion, not to mention some fabulous dancing! 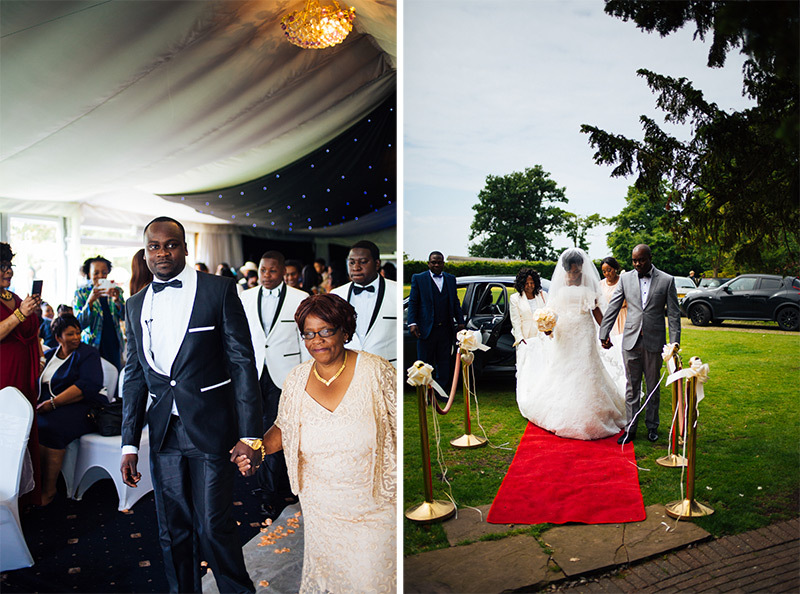 They were married in a religious ceremony at Cheshire’s elegant Haslington Hall. 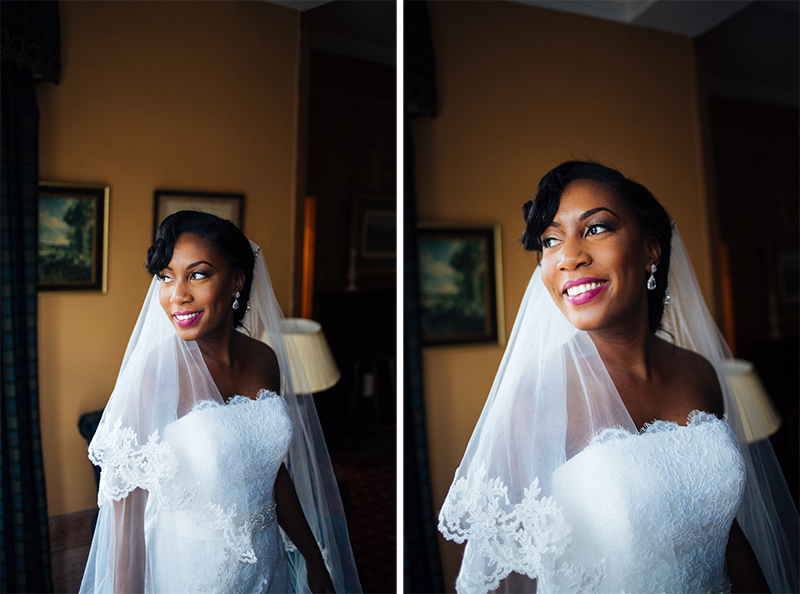 The half-timbered mansion provided an imposing setting that was more than matched by the couple’s impeccable styling. 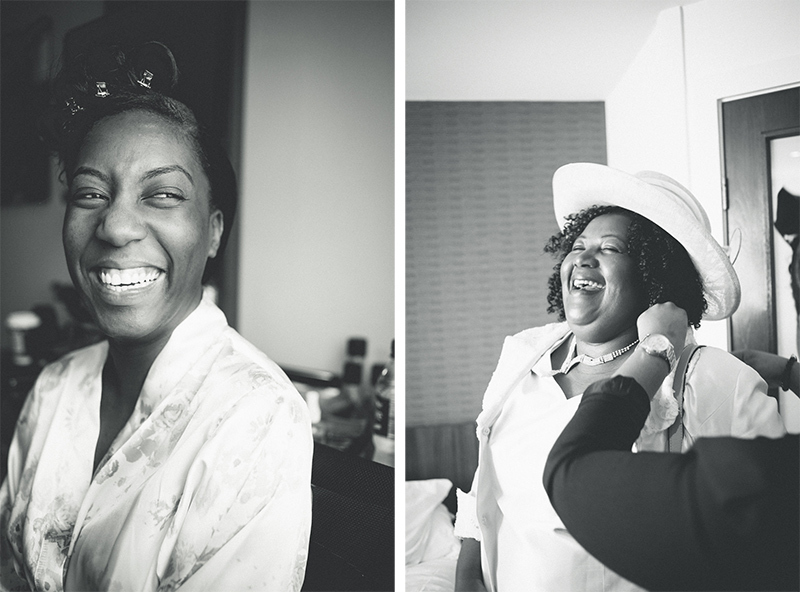 Chido looked stunning in her strapless gown and veil with matching lace and Terry was dapper in his monochrome dinner jacket. 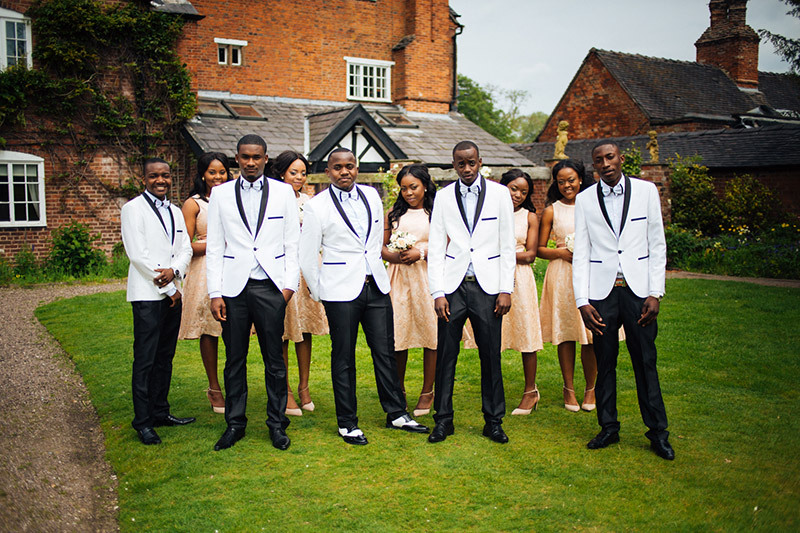 I love that his groomsmen’s suits were like photographic negatives of Terry’s outfit! 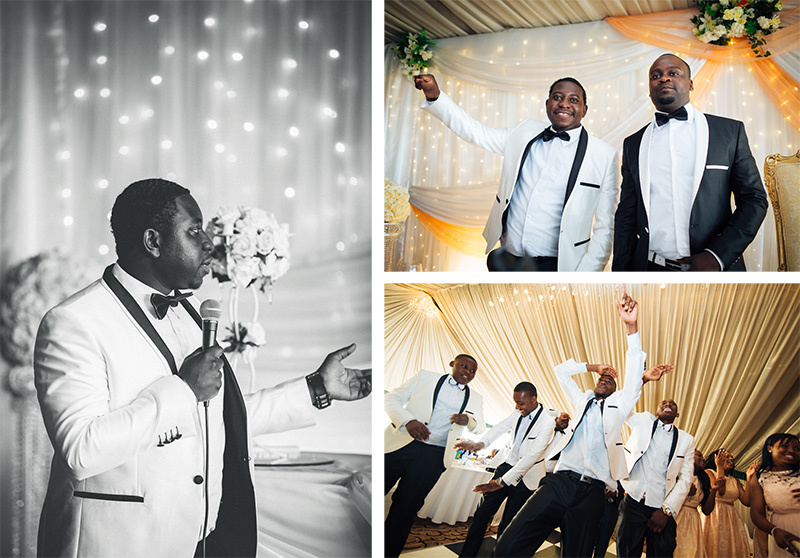 The bridesmaids were dazzling in their peach prom dresses and when they joined Chido on the dancefloor for a special flashmob, their sense of fun was infectious! 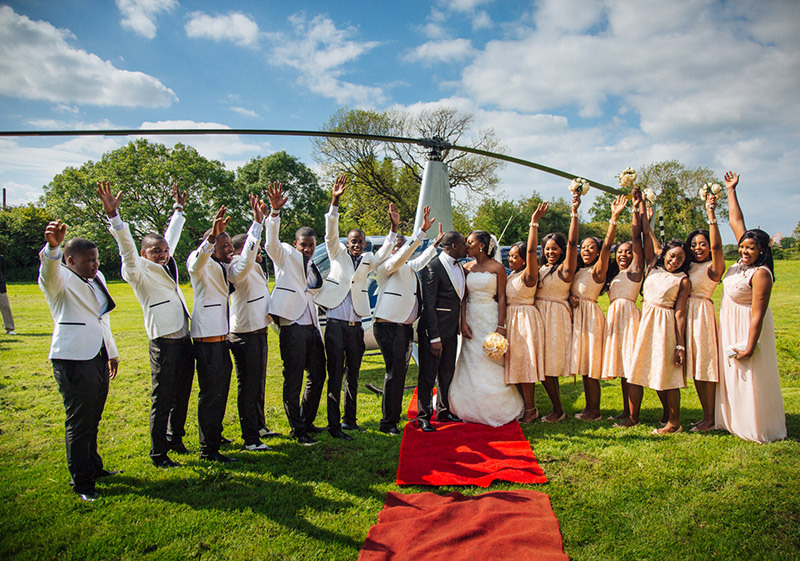 A helicopter ride always adds that wow factor and when Chido took off with her beau it was a spectacular moment! 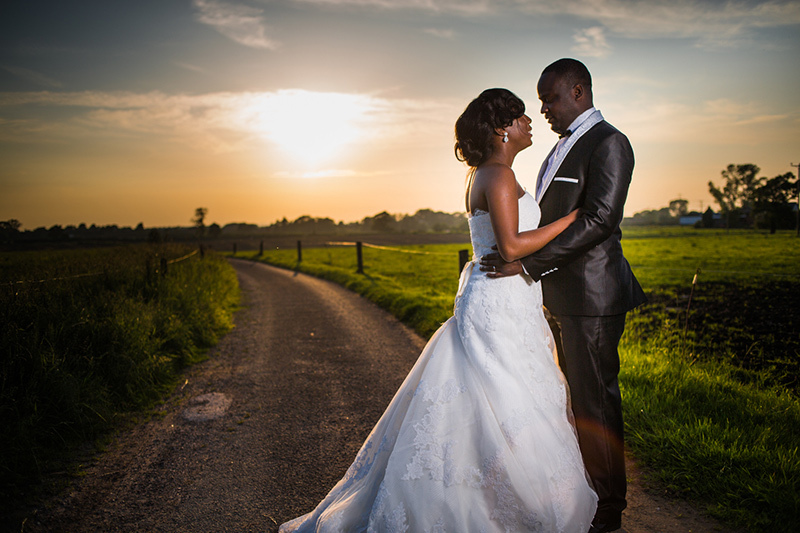 The weather was kind and we were able to capture some beautiful sunset shots in the grounds of Haslington Hall. 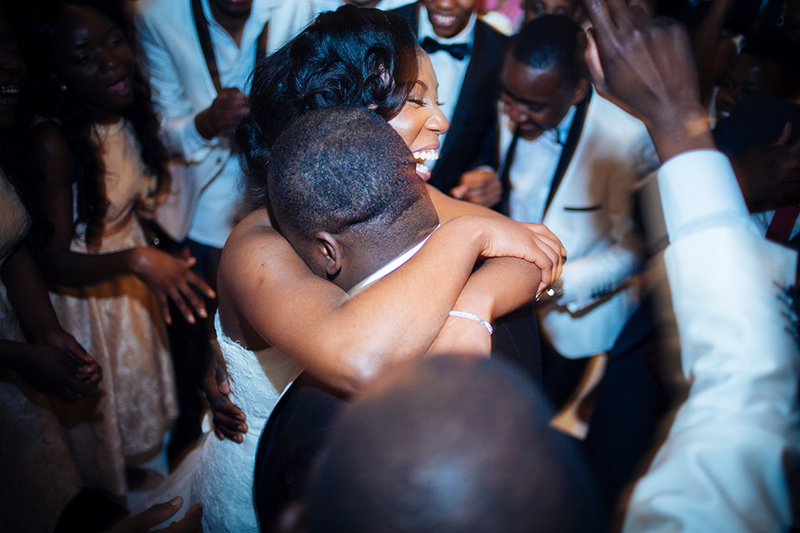 The couple look so relaxed and in love, and of course super gorgeous! 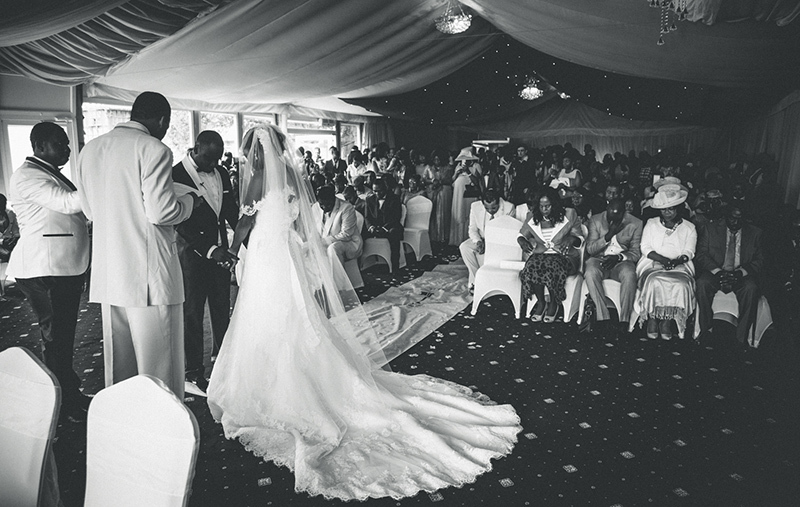 Congratulations Mr and Mrs Sibanda! 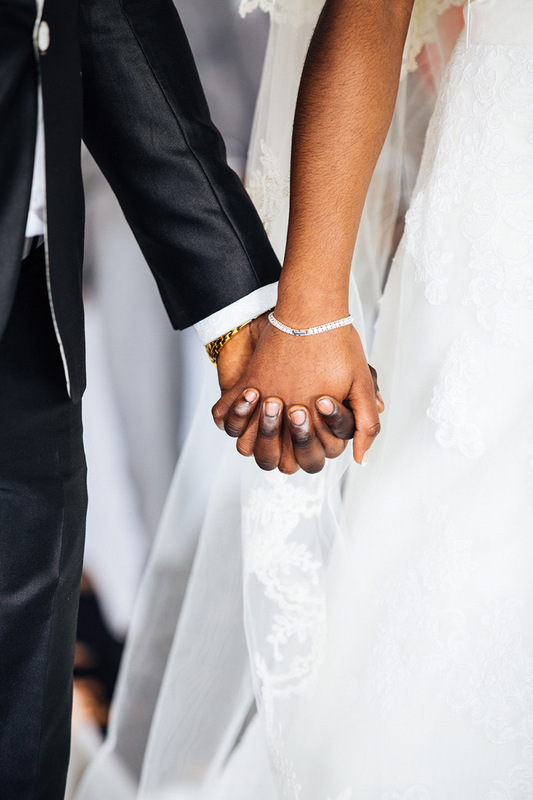 Your African wedding was a day to remember!